SERVPRO of Manistee, Ludington and Cadillac is so privileged to see the first signs of the warmer months right in their very own back yard. 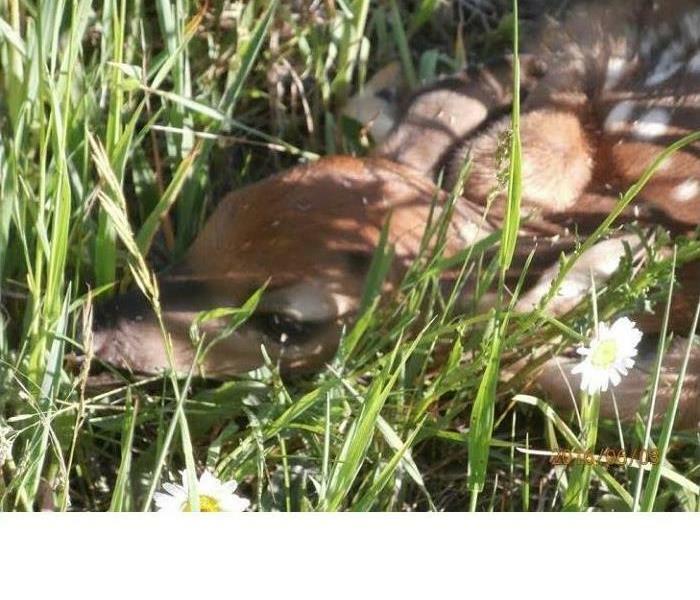 This baby fawn is enjoying some of that sunshine and warm air. The church in this picture had a fire that caused a large amount of damage. SERVPRO of Manistee, Ludington and Cadillac came in full force to get everything taken care of as fast as possible. 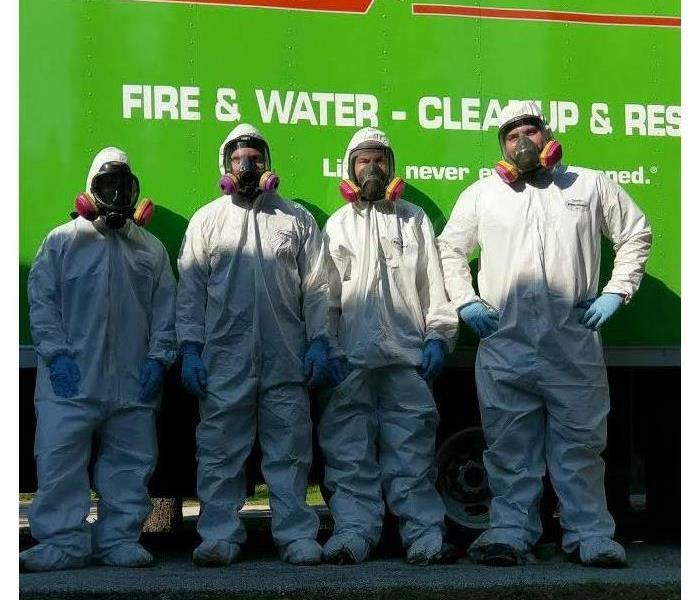 SERVPRO of Manistee, Ludington and Cadillac pulls out all of the stops when they get suited up! Health and safety are very important to us so we take any and all precautions to make sure that our employees stay that way! 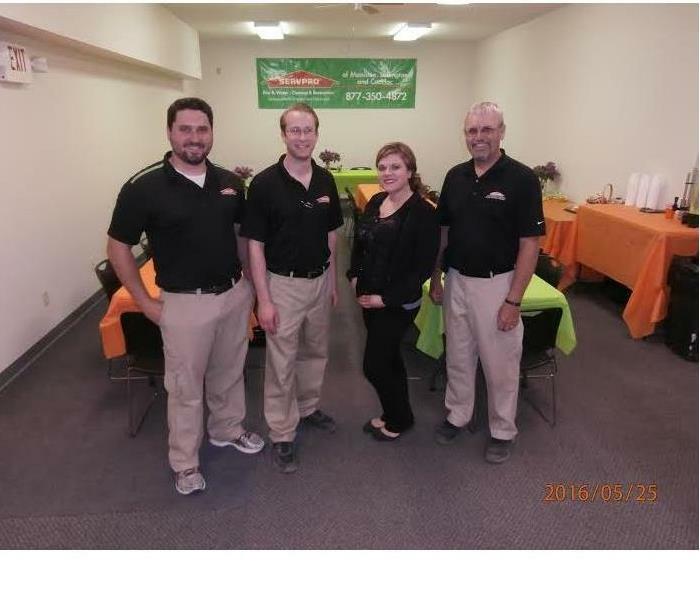 SERVPRO of Manistee, Ludington and Cadillac, participates in many Chamber of Commerce events. The Ludington & Scottville Area Chamber has recently started a networking group called LEADS and SERVPRO of Manistee, Ludington and Cadillac is happy to be apart of it with many local businesses. 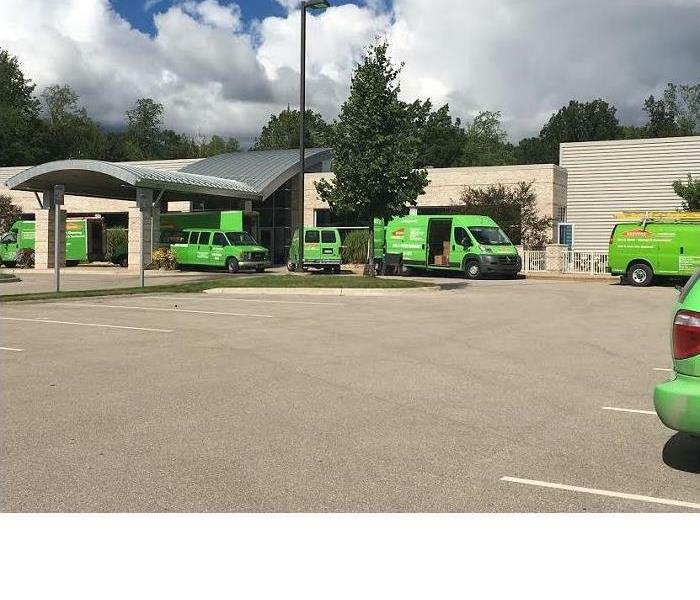 SERVPRO of Manistee, Ludington and Cadillac recently hosted an off site lunch and had the opportunity to tell all of the other local business members exactly what we do! SERVPRO of Manistee, Ludington and Cadillac are very proud to have the opportunity to serve its community in such a giving way. The annual Ludington Lake Jump has raised thousands of dollars over the years to help out local charities. 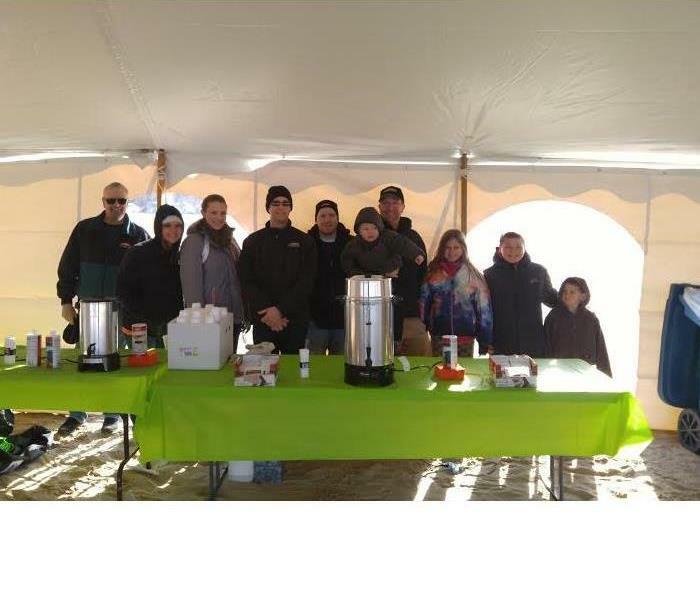 Here is a picture of our tent all set up and ready to serve some coffee and hot chocolate! The outside of our new building is coming together quite nicely. The flowers have been planted and are growing beautifully and the flags are flying high. 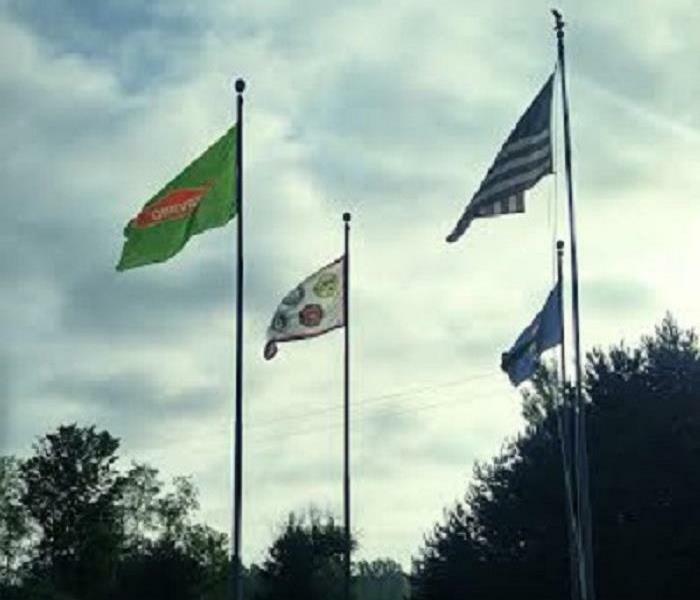 It's a great day at SERVPRO!